Build with GoThru, publish on Google! Upload all the stitched panoramic images that will be part of the tour. Create the constellation using the GoThru moderator. Save the constellation in GoThru and publish it on Google Maps and Street View App. GoThru will have training videos in the help section. Also, GoThru will do weekly Hangouts meetings where we will moderate a live tour and answer all of your questions. Can I edit an old published tour? Yes, first use the Import function and then you can edit the tour. Can I use any browser? Yes, just make sure you are logged in on the browser with your publishing Google account. Does GoThru Moderator support blurring? At the current, time Google API does not support blurring, but when this feature will enabled GoThru will also support it. Does GoThru Moderator support levels? For the moment the Google API is not supporting levels. GoTrhru has the level functionality, but until Google will enable it, your levels will be displayed as islands. What are the panoramas in the left and right side bars? 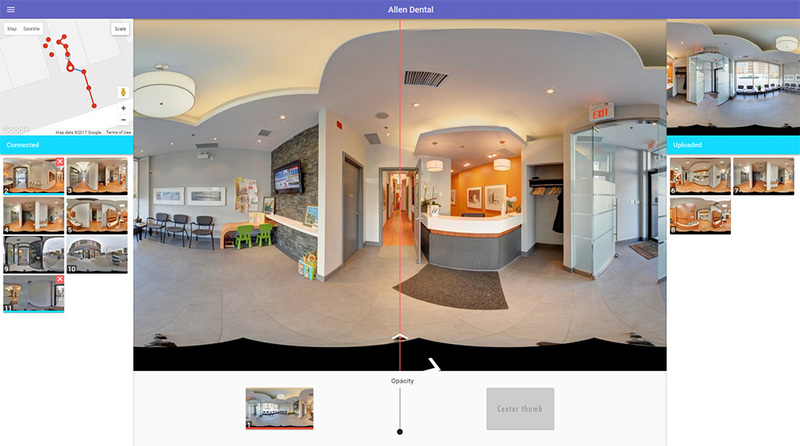 GoThru keeps all non linked panoramas on the right side and all the linked panoramas on the left side, this makes it easier to notice which panoramas are left to be linked. � 2018 Y | ALL RIGHTS RESERVED | GoThru Media Inc.